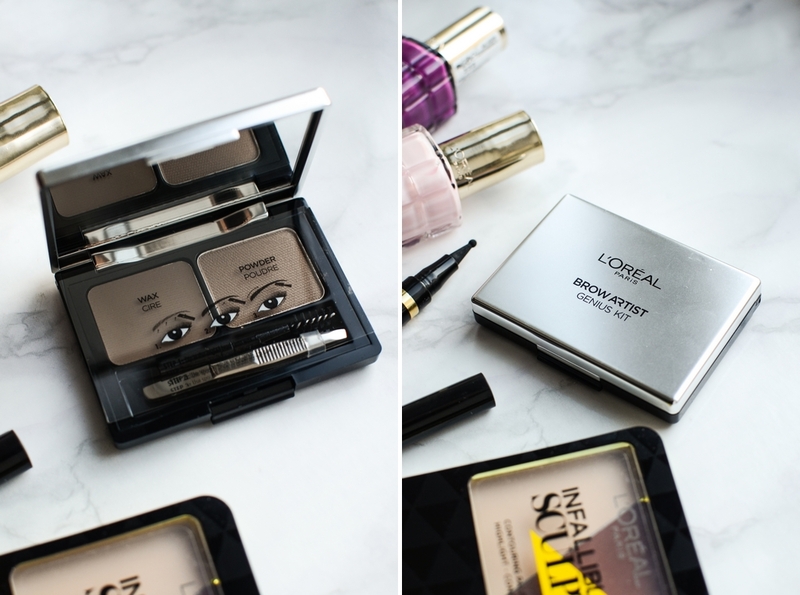 New L`Oreal Paris products have just hit the drugstore! I'm not really a huge fan of silicone wand mascaras. The only one that I've actually liked was from Chanel. Though, curved wands are my favorite. I have worn it a couple of times and unfortunately I noticed that I tend to get a little panda effect/light smudge on the outer corners of my eyes. So far it doesn't stand out aka doesn't give my nonexistent lashes any kind of effect. Yes, it does elongate & separate them, but I'm looking for thickness. As of right now I can write it down to the fact that it's just new. 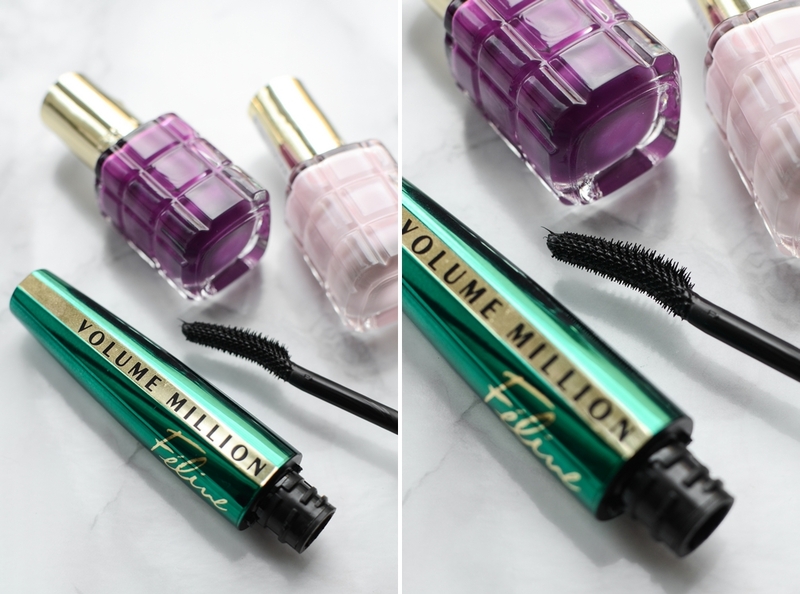 I have to wear it out a bit more to see if it will perform better, because you know, mascaras do the best job when they are a little bit worn out, thicker and pack a lot more on the lashes. From the nail polish collection I got the shades 332 Violet Vendome & 220 Dimanche Apres-Midi. I really like that they didn't come out with a new range in the same old boring bottle. These new nail polish bottles are very pinterest, if I do say so myself. Clean, with a simple yet eye catching design. 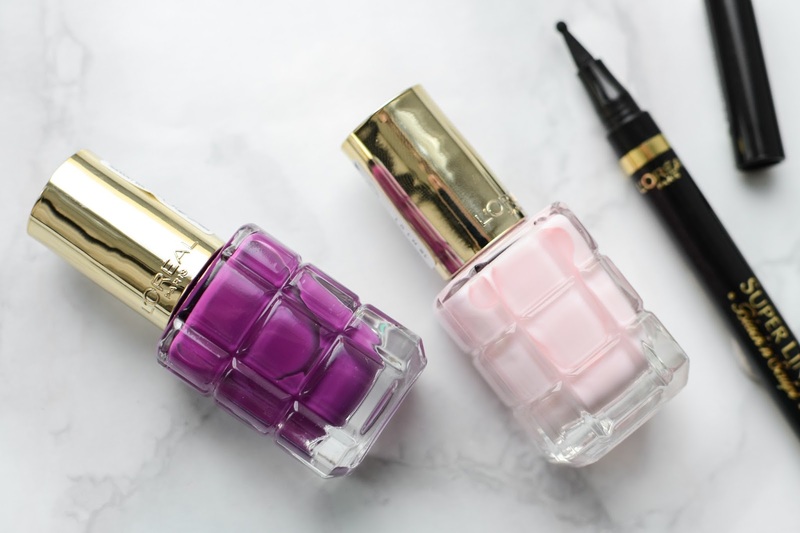 What is most intriguing about them is the fact that the nail polishes contain precious oils. They also seem to be highly pigmented. I have yet to try them myself (I've been stuck with the Kinetics for now). What I can comment is that I love the brush - it's big and looks like it would be easy and fast to apply the polish on the nails. But, and it's a BIG but - they stink. They smell (well you can't even say the word smell here) like they have just been filled with a nail polish remover. With these you can't paint your nails at the office unnoticed. Will try them sometime later, but the smell really turns me off. I was a bit surprised when I took off the lid. More like I spent a minute or two staring at it. 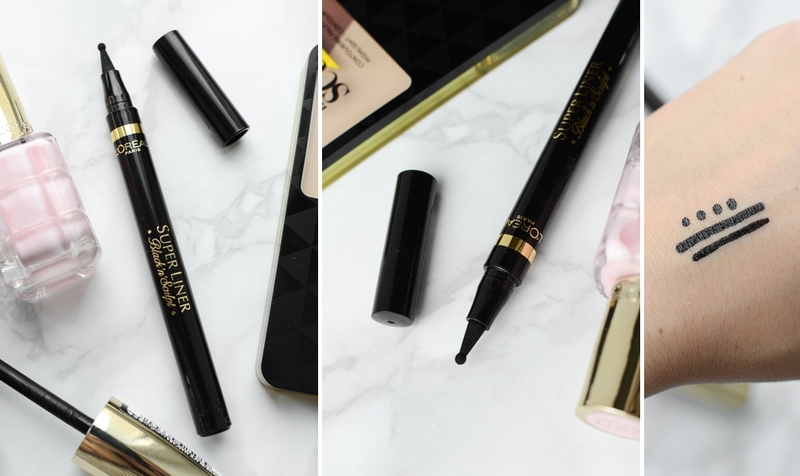 Yes, the "dot" trend is going strong this spring and it's predicted that it'll be strong until the end of August, but I never expected for a brand to actually come out with an eyeliner with a tip like this! In my opinion, only those who are really loving this dot trend, would maaaaybe buy this, because that is the only thing you can use it for. As you can see in the swatch picture, if you try to use it as a regular liner, you get a very fat line so forget about making an accurate wing with it. As for the product itself I wish the formula dried a little bit faster. The first time I tried it, I didn't wait long enough and smudged all over the back of my hand. The only thing that I like about it, is that it is really black. And so another Brow Artist product has joined the drugstore assortment here in Latvia. Though, I think I have already seen it in the stores, but only now was it put into my "new stuff" bag. Anyway, I haven't tried this one yet either, because having so many spars areas, I rarely use powder products on my brows. For me personally pomades are the ones that work the best. Though sometimes (rarely) I do use an eye shadow to fill them in before I go in with a pomade. Looking at this shade that I've got, I think it would fit me really well because it's similar to the eye shadow that I use. 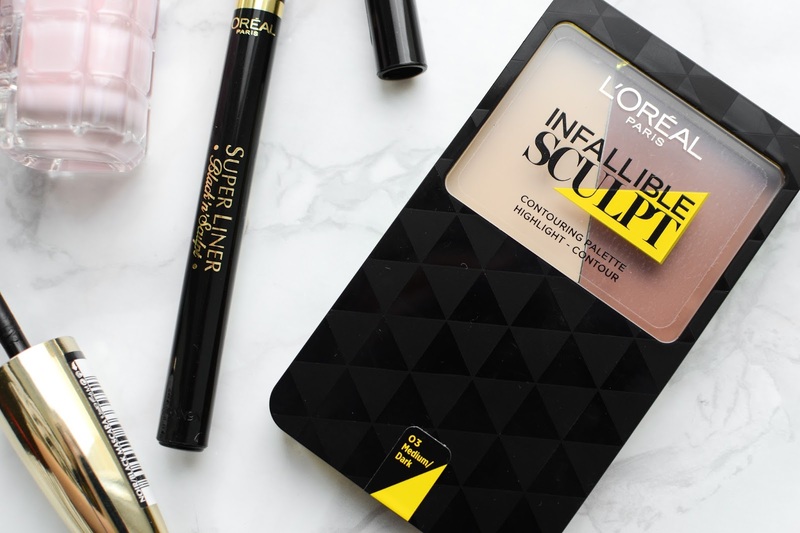 I think it's a product worth trying if your brows don't have a lot of spars areas and you just need to fill them in a little bit and give them some shape. Those who were predicting that the contouring & highlighting thing will go away were wrong. The game is still going strong. What sets this palette aside from other palettes in the drugstore is that it's a cream to powder product. So it should look very natural on the skin and should be easy to blend. This was one of the products I really wanted to try because I've seen it in so many youtube tutorials. But unfortunately I was given a shade that is too dark and too warm for my pale complexion (03 Medium/Dark), so I haven't even opened it. But I really want to get my hands on the 01 Light palette. All products are now available at the stores in Latvia! What caught your eye? What do you want to get your hands on? 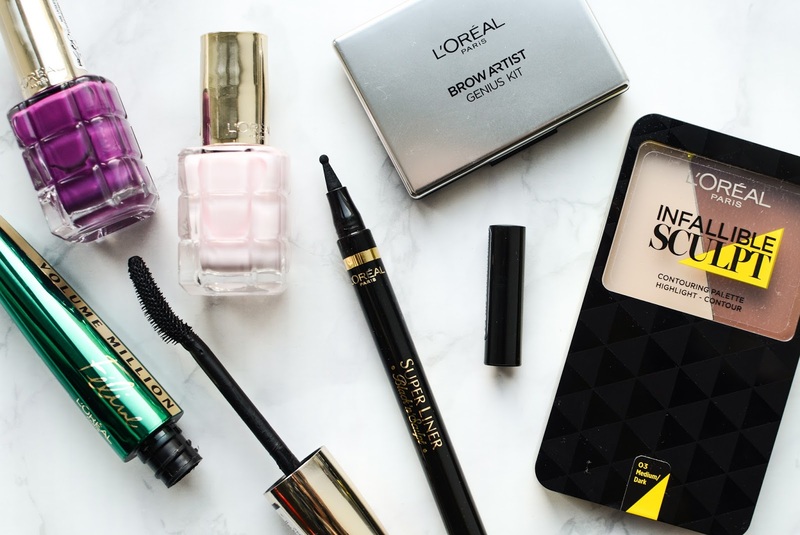 1 comment on "NEW IN | L`OREAL PARIS"
kaut kā nav nekā tāda, ko baigi gribētos iegādāties :( laku toņi ir smuki, bet nekas jauns..